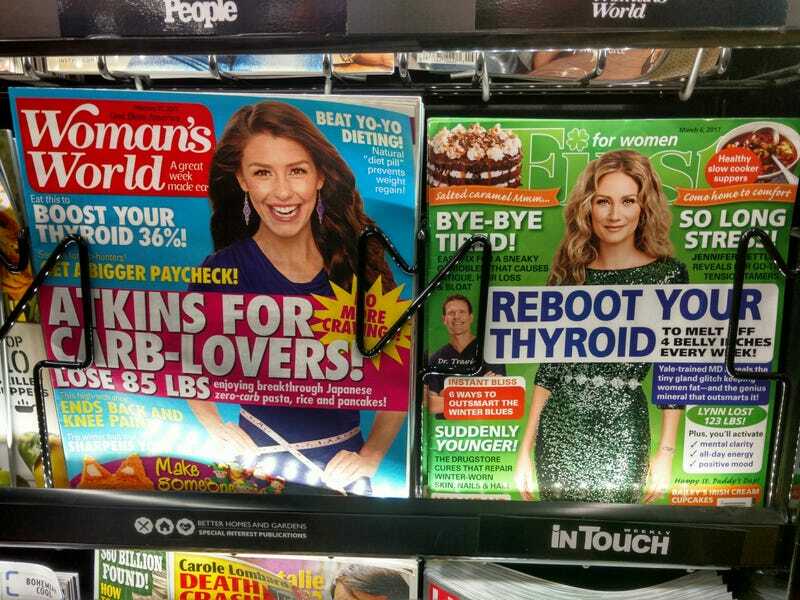 According to leading health publications Woman’s World and First for Women, the new key to unlocking your secret weight loss ability is your thyroid. Which gave me an idea: one of my cats takes thyroid pills. Soon, veterinarians everywhere will be making huge profits selling Methimazole for human weight loss!